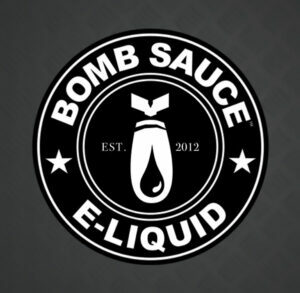 One Hit Wonder is taking UK Vapers by storm & we cant choose between them! We simply had to create this discounted Bundle for you UK Vapers to buy one of each amazing flavours! 1 x The Man – Delectable blend of strawberry fruit and cream. The Milk Man E-Liquid has notes of uniquely refreshing milk cream on the Inhale followed by subtly sweet undertones of fresh strawberries that builds over the course of each vape! 1 x Rocket Man – Balancing a lightly tart Greek yogurt, fresh mountain blueberries & savory granola. Rocket Man is a harmonious blend without equal in the yogurt world. 1 x Muffin Man – A unique blend of sweet apples and warm cinnamon muffin. The Muffin Man has a robust apple flavour on the inhale followed by sweet undertones of warm muffin. 1 x MyMan – A unique Neapolitan Ice Cream Flavour – Vanilla, Strawberry, Chocolate. The rich flavours we all love have been expertly blended into a smooth but complex vape that dances on your tongue with different complementing notes from each inhale & exhale. 1 x Magic Man – trifecta of fruit flavors and blending them into a sweet watermelon gummy candy. 1 x Mini Muffin Man – A moist, plump, sweet, flakey, bursting with flavour refinement of the beloved strawberry muffin original, now in a miniaturized size. These are very thick liquid and can cause wicking issues. Works just about ok in my Kanger sub tank with the vertical coils. I feel theseliquids are best suited to drippers or maybe you could thin out the liquid but trade off is loss in flavour. Best of the range by far. Far to sweet. Actually gave me tooth ache! I think may improve over time so will leave this one. Not bad can taste the Neapolitan Ice Cream but a little to sweet for me. If they toned down the sweetness and toned down the viscosity they would get a 4 star.